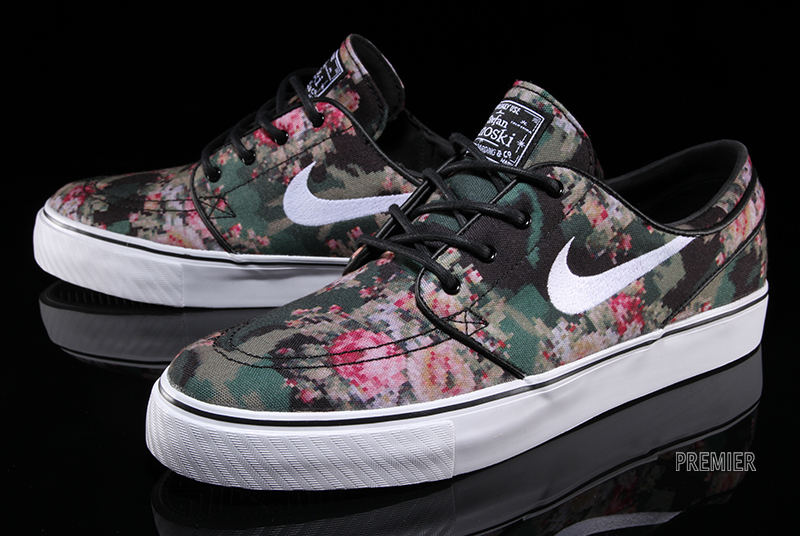 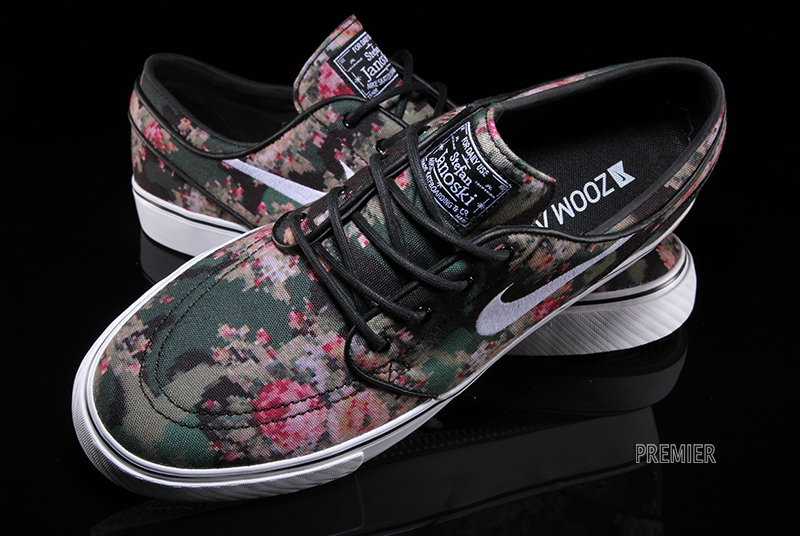 The much-anticipated "Digi Floral" Zoom Janoski is arriving at select retailers now. 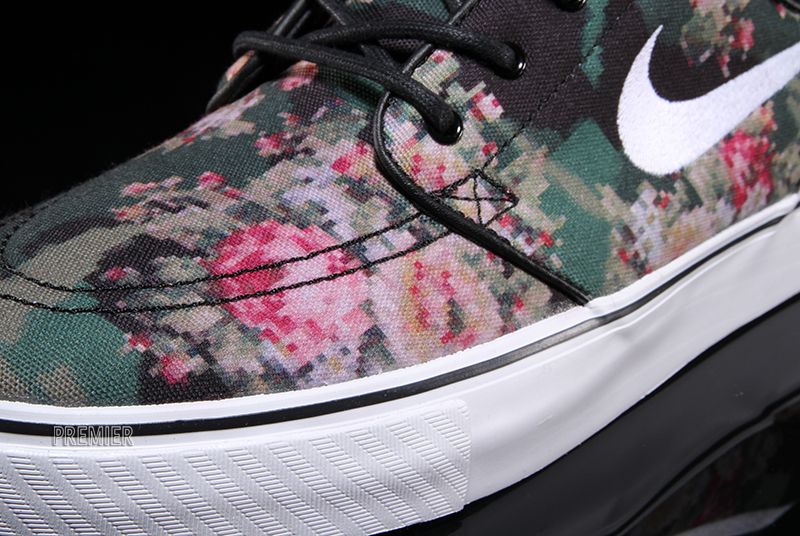 You've been seeing pictures for months now, and it looks like the much-anticipated "Digital Floral" printed Zoom Janoski from Nike SB is now arriving at select retailers. 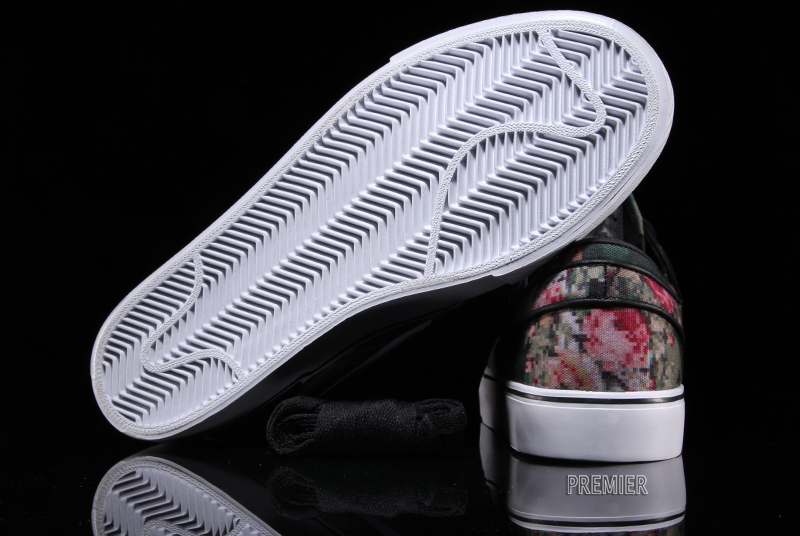 The latest and greatest version of Stefan Janoski's signature skate shoe features a unique digi-floral patterened canvas upper with a white embroidered Swoosh and black accents, all on top of a solid white vulcanized sole. 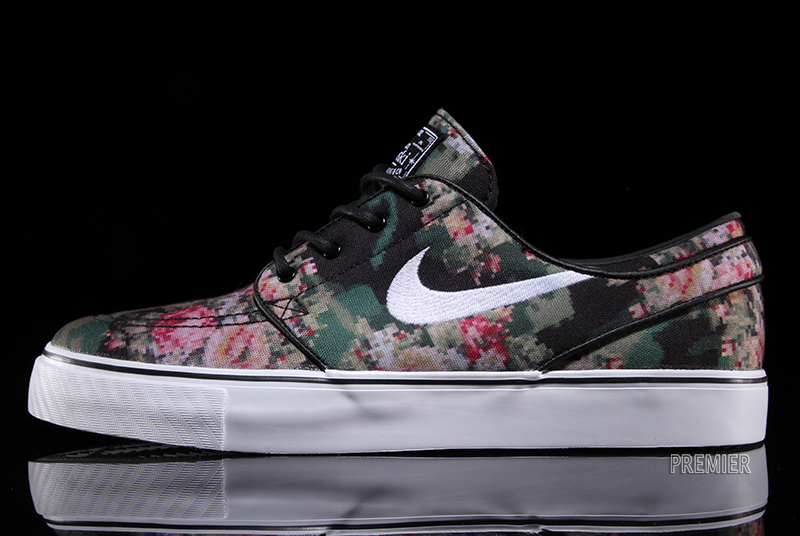 Check your local Nike SB stockist for availability, or if you're in the Grand Rapids, Michigan area you can pick them up tomorrow (May 1) from Premier.